Mod Podge is the original all-in-one sealer, glue, and finish. It's excellent for decoupage and is perfect for wood, paper, fabric, and other porous surfaces. This water based formula dries clear and holds tight. Mod Podge is non-toxic and cleans up with just soap and water, so it's great for kids. 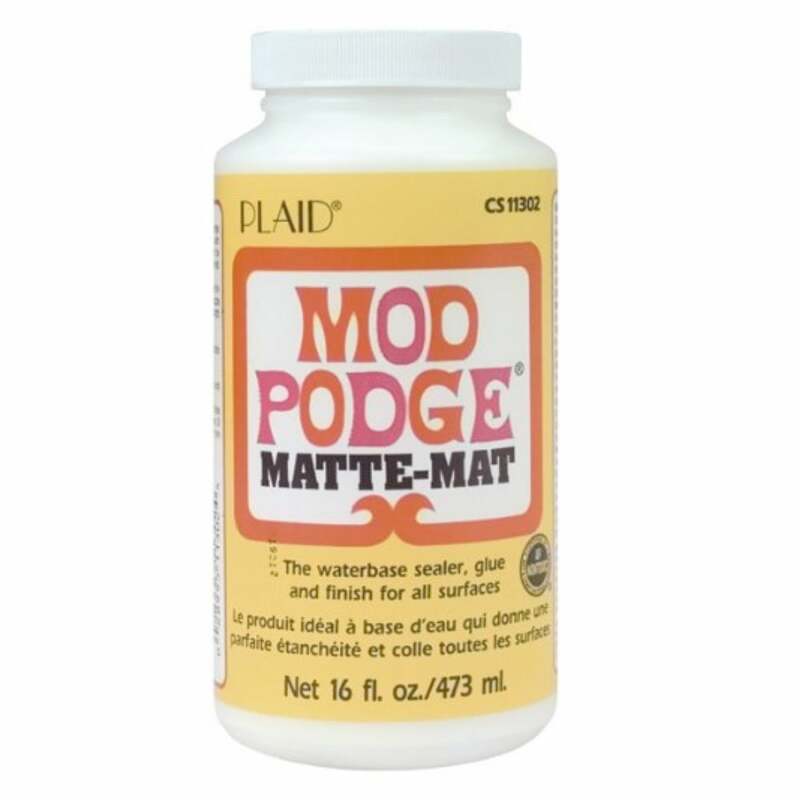 Mod Podge Matt protects acrylic paints, stains, fabric, and more. Matt finish creates a more muted look. Sand between coats for an ultra-smooth finish.